1 What Is Neuropathic Pain? Approximately one in every ten adults over the age of 30 suffers from neuropathic pain, according to a study published in Pain Med. Neuropathic pain, commonly referred to as neuralgia, is a chronic, complex condition that originates from problems with signals from the nerves of the body. Damaged nerves send faulty signals to other pain centers in the body. Neuropathic pain develops as the result of damage or disease of the somatosensory system. This pain can result from damage to the peripheral or central nervous system. Categories of neuropathic pain include central, peripheral, or mixed, depending on the location of damage. The diagnosis and treatment of this type of pain is complex and thorough clinical evaluation is needed for an accurate diagnosis. Often, there are a limited number of objective signs of neuropathic pain, so physicians must rely on a patient’s subjective symptoms. Typical symptoms include a burning pain that intermittently shoots, coldness, and a numbness or tingling sensation. In an effort to decipher how much pain a patient is experiencing, physicians often use a variety of pain scales. Physical examination of a patient suspected of having neuropathic pain may show signs of nerve damage including difficulty distinguishing between sensations such as hot/cold and sharp/dull. If nerve injury is suspected after a patient history and physical examination, a nerve conduction study may be ordered. Additional testing may be ordered, including blood work to look for nutritional deficiencies and chronic medical conditions, as well as imaging studies to determine if any lesions are present in the spinal cord. Many patients try traditional pain medication and anti-inflammatory medications that are available over-the-counter. However, these medications are often ineffective for neuropathic pain. If the cause of a patient’s pain can be identified and reversed, correction or management of the problem may lead to nerve regeneration and decreased pain. However, it may take an extended period of time (months to years) for this process to happen. When a patients’ condition cannot be reversed or effectively managed, pain control using a variety of medications may be warranted. Tricyclic antidepressants, including amitriptyline, nortriptyline, desipramine, and imipramine, have shown positive results for the treatment of pain related to diabetic neuropathy, herpes zoster infection, painful polyneuropathy, and postmasectomy pain. However, these medications have not been shown to relieve neuropathic pain associated with phantom limb pain, pain related to cancer, chronic lumbar root neuropathic pain, pain related to chemotherapy treatment, or pain related to HIV infection. Serotonin-norepinephrine reuptake inhibitors including duloxetine and venlafaxine have been studied for the treatment of neuropathic pain. These medications are considered first-line treatment options for pain related to diabetic neuropathy. Venlafaxine has also been shown to be effective for pain management of painful polyneuropathies. 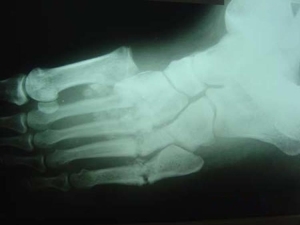 Calcium channel alpha-2-delta ligands, including gabapentin and pregabalin, may be effective for pain resulting from diabetic neuropathy and post-herpetic neuropathy. Topical agents, including topical lidocane and capsaicin, may be recommended to patients with localized peripheral neuropathic pain. These topical agents are available in gel or patch form. Opioids (narcotics), such as codeine and morphine, are generally not used as first-line treatment for neuropathic pain as there are a number of serious side effects to their use, including addiction and impaired mental functioning, among others. However, studies have shown that they are effective for the treatment of diabetic peripheral neuropathy, post-herpetic neuropathy, painful polyneuropathy, and phantom limb pain. Another medication, tramadol, is similar to opioids and has shown positive results for the treatment of diabetic neuropathy, post-herpetic neuropathy, painful polyneuropathy, and phantom limb pain. Tramadol is associated with a lower risk of dependence than typical opioids and is also less sedating. 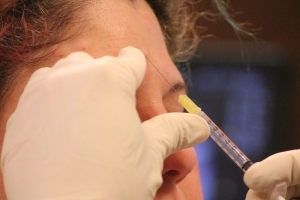 The use of Botox (botulinum toxin type A) has shown positive results for the treatment of pain related to diabetic neuropathy. However, additional research, on a larger scale, is warranted to determine its role in the treatment of this type of pain. The use of anticonvulsants and serotonin reuptake inhibitors (SSRIs) have shown limited efficacy for the treatment of this type of pain. Additional research is needed on these types of medications to support the limited data currently available. Chronic pain conditions are often frustrating conditions for patients and physicians alike. Neuropathic pain is a complex condition that arises from problems with nerve signaling and can be caused by damage to the peripheral or central nervous system. Symptoms of this type of pain can vary and this condition is often difficult for physicians to diagnosis. Various treatment options exist for the treatment of neuropathic pain; however, treatment often only provides some relief for many patients. Patients are encouraged to speak with their physician to determine what treatment will provide them with the most effective pain relief from this debilitating condition. Backonja MM. Use of anticonvulsants for treatment of neuropathic pain. 2002;59;5:S14-S17. Gilron I, Watson CPN, Cahill CM, et al. 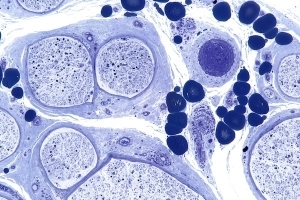 Neuropathic pain: a practical guide for the clinician. 2006;175;3:265-275. Jefferies K. Treatment of neuropathic pain. Semin Neurol. 2010;30;4:425-432. Jenson MP, Chodroff MJ, Dworkin RH. The impact of neuropathic pain on health-related quality of life. 2007;68;15:1178-1182. Santo T, Wiffen PJ. Antidepressants for neuropathic pain: A Cochrane review. J Neurol Neurosurg Psychiatry. 2010;81:1372-1373. Treed RD, Jenson TS, Campbell JN, et al. 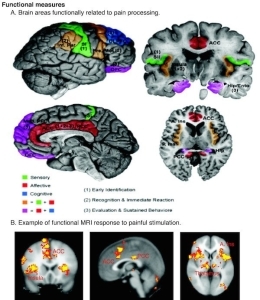 Neuropathic pain: Redefinition and a grading system for clinical and research purposes. 2008;70;18:1630-1635. Yawn BP, Wollan PC, Weingarten TN, et al. The prevalence of neuropathic pain: Clinical evaluation compared with screening tools in a community population. Pain Med. 2009;10;3:586-593. Yuan RY, Sheu JJ, Yu JM, et al. Botulinum toxin for diabetic neuropathic pain. Neurology. 2009;72;17:1473-1478.